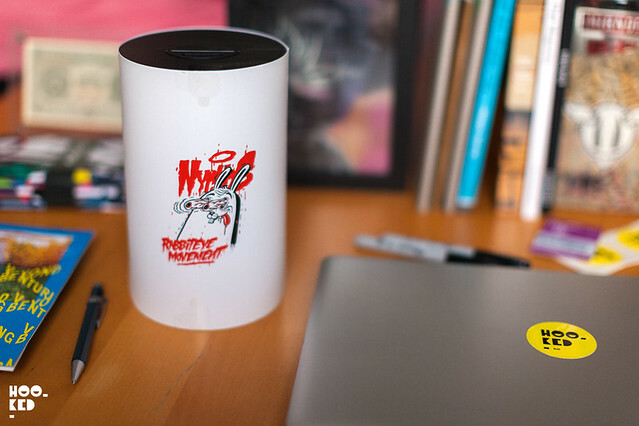 Just before we left the country for the Marrakech Biennale last week (more on that soon), this package landed on our desk containing the recently released artist-edition UE mobile speaker, designed by none other than Austrian graffiti illustrator Nychos (Previously on Hookedblog). 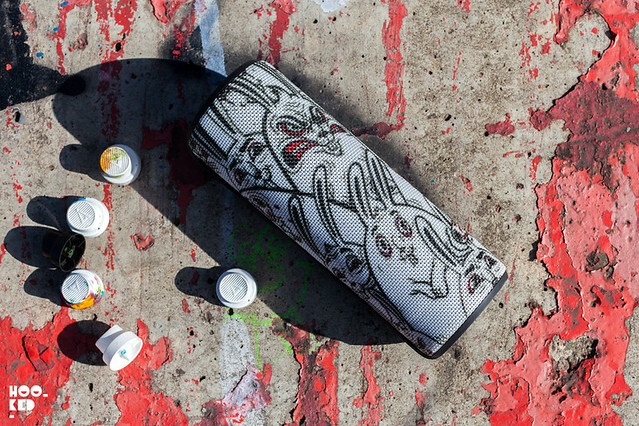 The acoustic skin of this limited-edition Rabbit Eye Movement UE BOOM 2 has been covered in Nychos’ iconic rabbit illustrations wrapping around the entire speaker. Nychos’ distinctive style draws inspiration from his background growing up in a hunting family in Austria, coupled with his childhood interests in cartoons and heavy metal music. His reimagined anatomical dissections and cross sections have defined his work as an urban artist and his Rabbit Eye Movement – a movement Nychos started to nourish urban art. 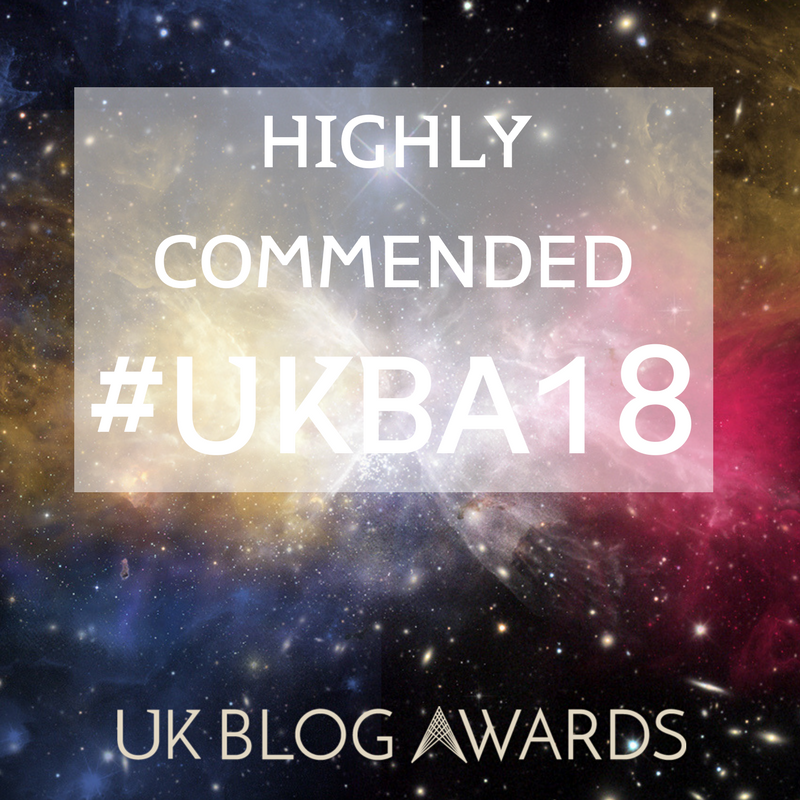 Hookedblog is loving the idea of artists using the acoustic skin of these of these bluetooth speakers as their canvas as it combines our love of art and music in one great product. If we are not on the streets taking photographs we are on the computer and for us, there is always music playing, but sometimes our laptop / iPhone speakers just don’t cut it. 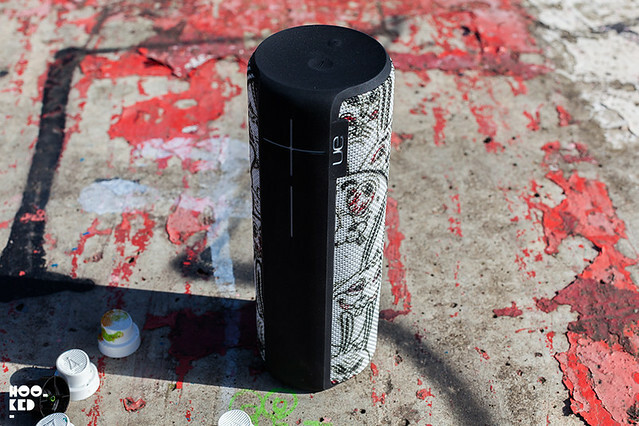 We have been seriously impressed with the sound output of this wireless speaker and the ease of use. Just turn it on and connect over bluetooth with your device playing music it’s as easy as that. The speaker packs a serious sound punch and with a 15 hour battery life it’s perfect for listening at home, a party or while you are outdoors as it is waterproof (IPX 7) and drop-proof (from up to five feet high) although as we are going to give you our readers the change to win this speaker we did not put some of these features to the test!! The power and bluetooth buttons located on the top and the large plus and minus to the side control the volume of the speaker. 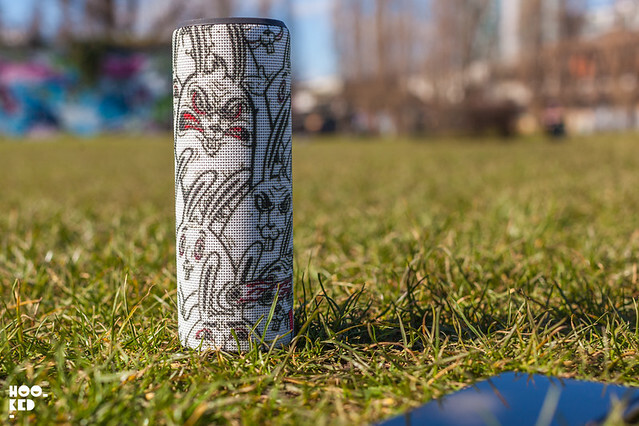 So yes were are giving you our readers the chance to win this limited-edition Rabbit Eye Movement UE BOOM 2, we are sort of sorry we now agreed to run a giveaway for this product as we would have happily kept it for ourselves it’s so good. One lucky reader will win this UE BOOM 2 speaker prize, details on how to enter the giveaway are below. 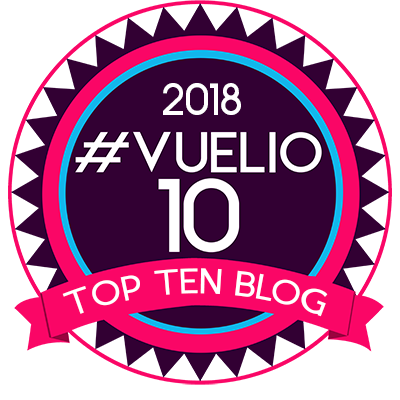 Once you have completed the mandatory task you can gain extra entries in the draw by completing any or all of the additional tasks in the Rafflecopter widget such as following Hookedblog on Instagram or on Twitter, tweeting a link to the giveaway or leaving a comment on the blog sharing with us your current favourite album. Each of the these additional tasks are optional and you can chose to complete one or all of them for extra entries in the competition. For even further entries you can select the tweeting a link to the giveaway task option once a day for the duration of the competition. This giveaway is open to UK residents only, closing date for entry will be 23rd March 2016. 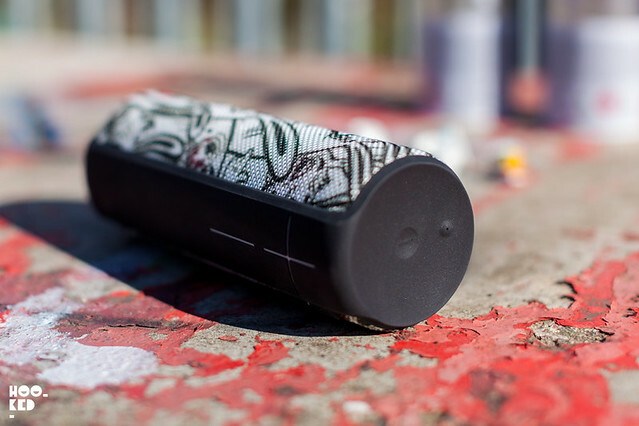 If you are not feeling so lucky, not to worry you can purchase your own Rabbit Eye Movement UE Boom 2 online while stocks last via the Ultimate Ears website here. Favourite Album at the moment --- Blue Scholars "Cinemetropolis"
art angels by grimes. the album artwork is incredible too!